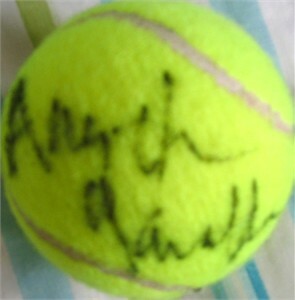 Tennis ball autographed by former WTA Tour star Angelica Gavaldon. ONLY ONE AVAILABLE FOR SALE. With certificate of authenticity from AutographsForSale.com.